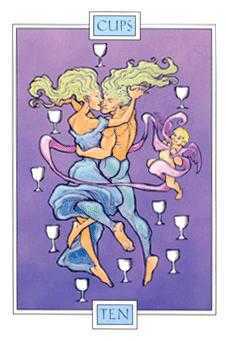 Inner and outer harmony is cause for celebration. 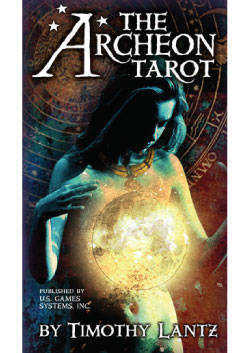 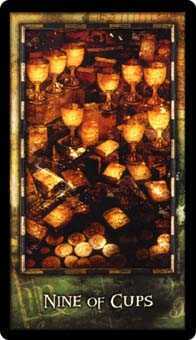 Archeon deck © U.S. Games Systems, Inc. 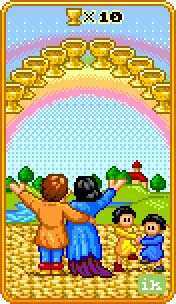 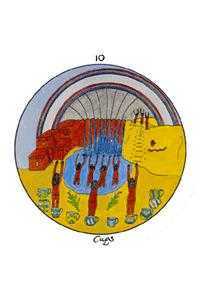 The Ten of this suit traditionally signifies family and community, often showing a celebratory scene including many generations, crowned by a rainbow signifying the end of hard times. 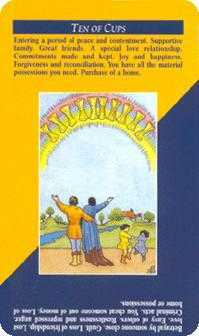 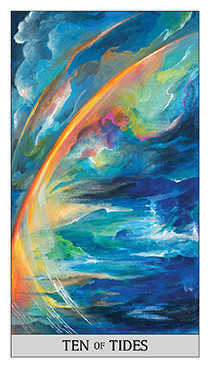 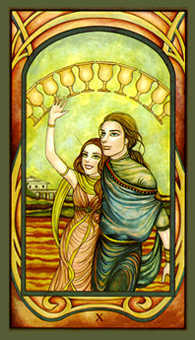 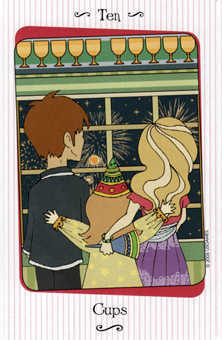 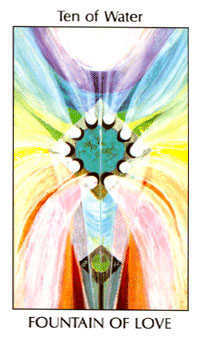 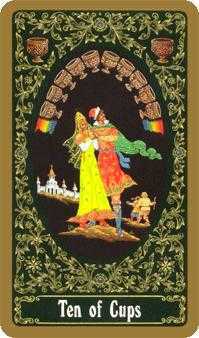 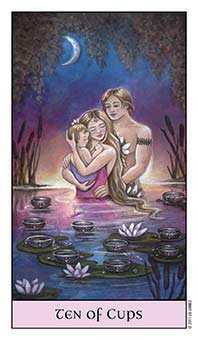 See this vision -- love and support extending in all directions -- a huge emotional safety net for everyone. 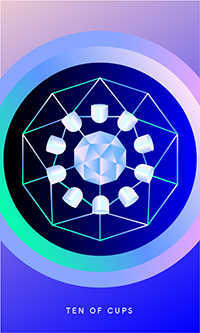 Share abundantly with all the levels of people who are involved in this creative endeavor. 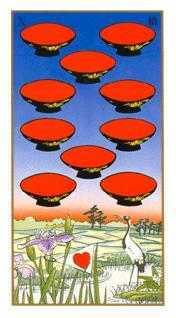 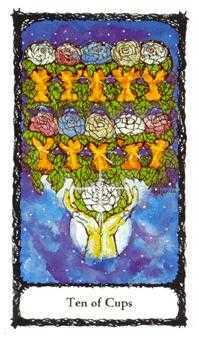 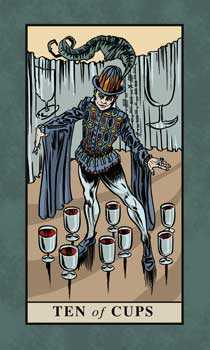 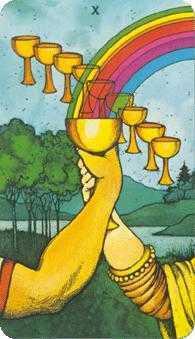 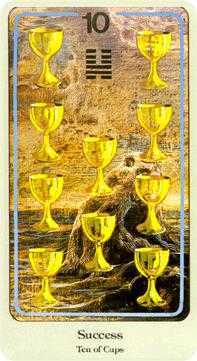 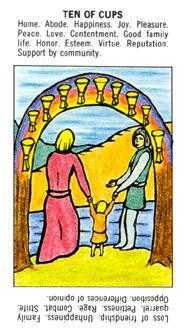 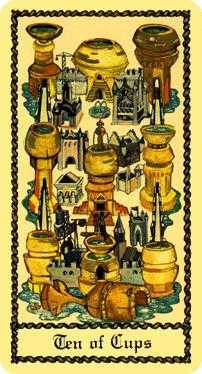 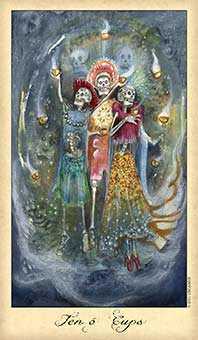 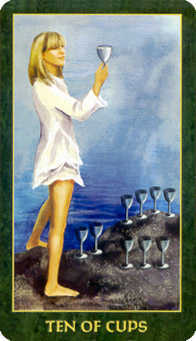 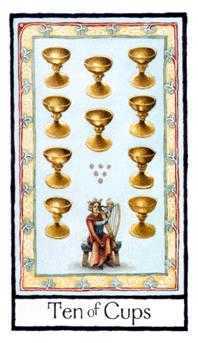 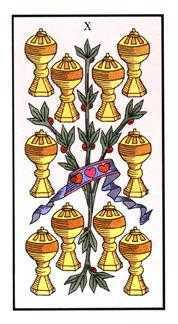 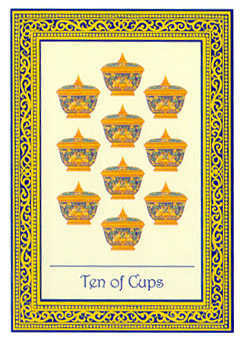 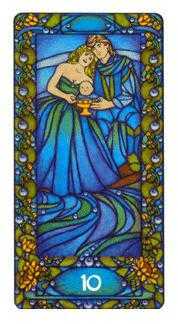 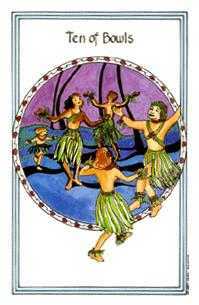 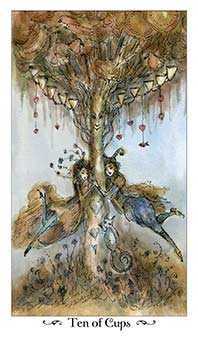 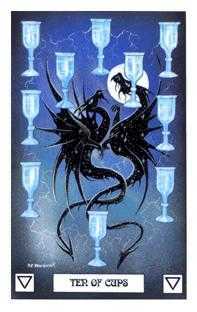 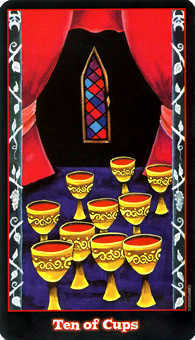 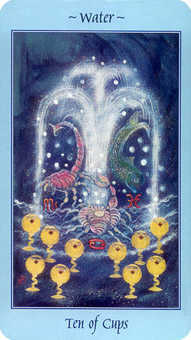 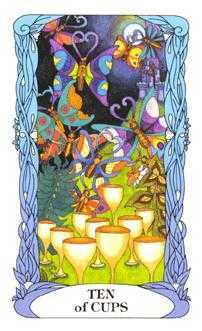 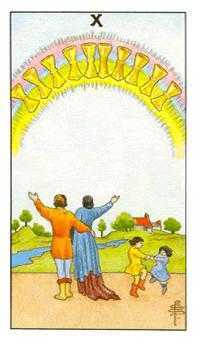 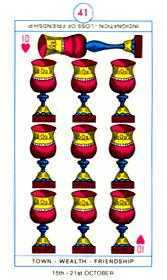 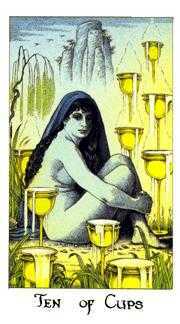 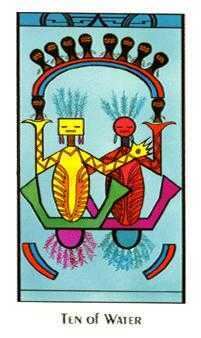 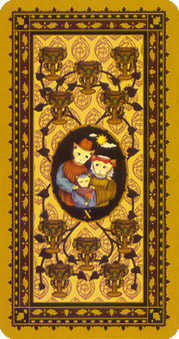 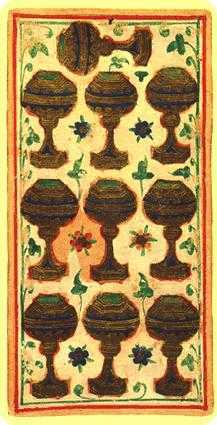 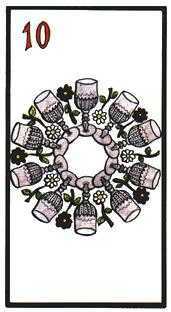 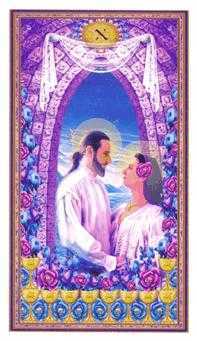 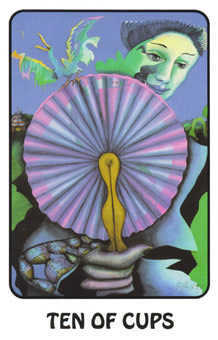 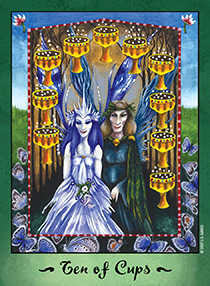 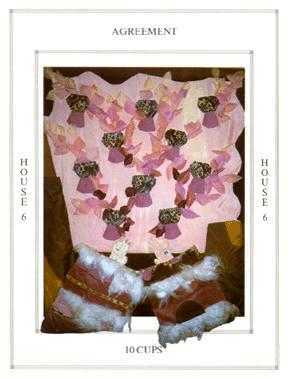 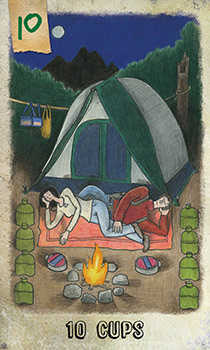 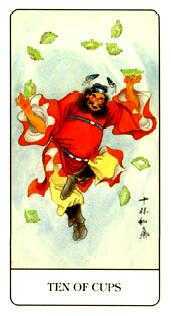 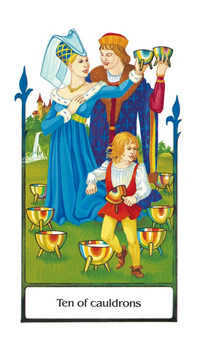 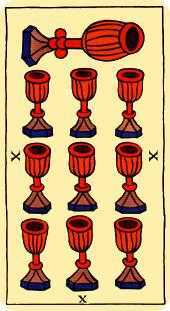 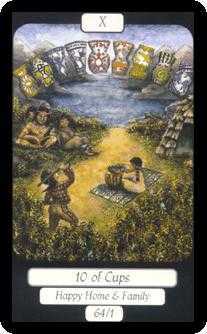 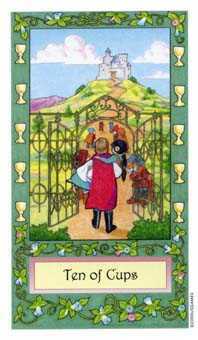 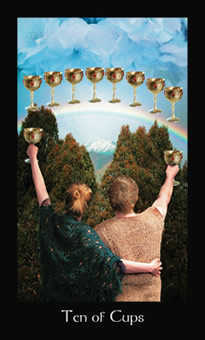 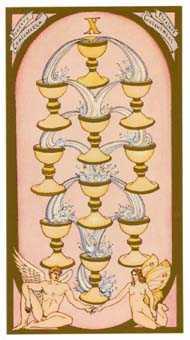 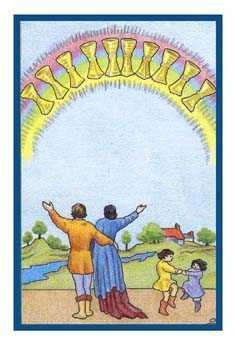 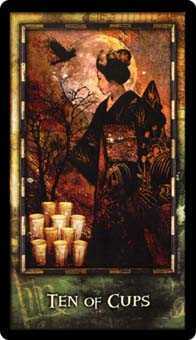 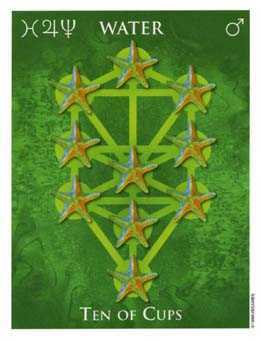 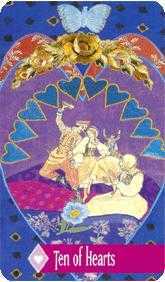 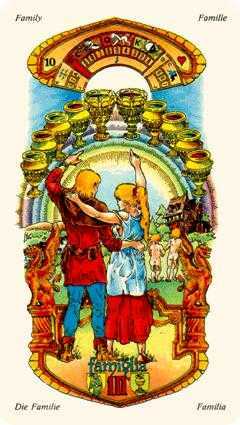 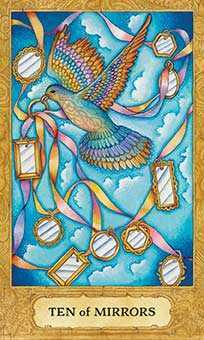 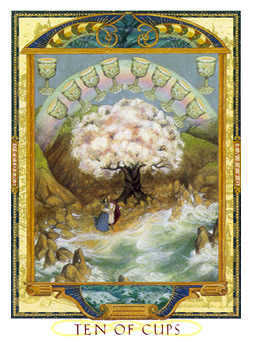 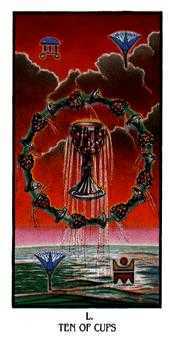 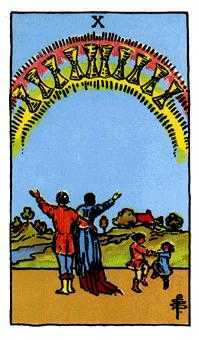 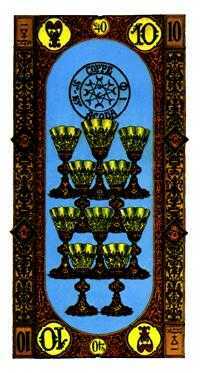 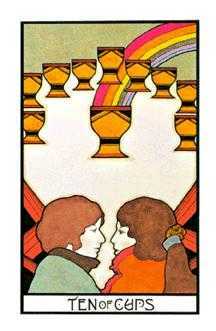 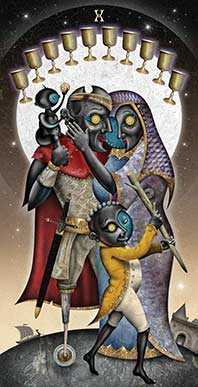 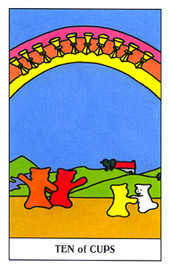 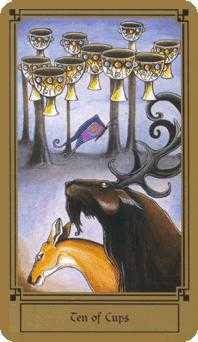 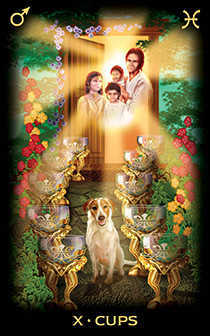 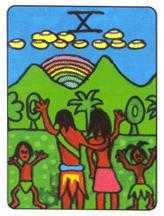 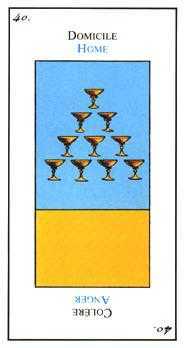 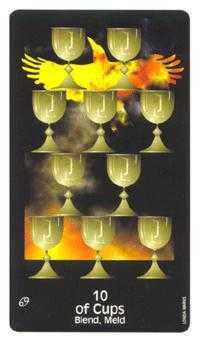 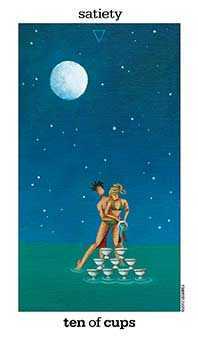 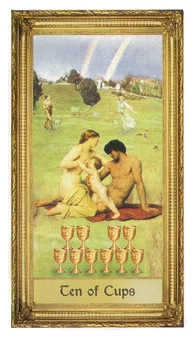 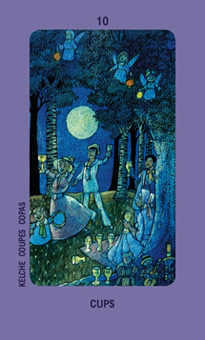 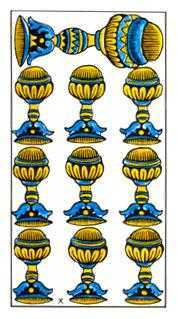 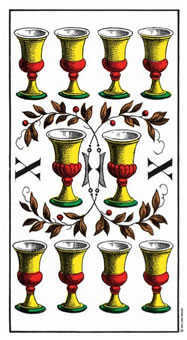 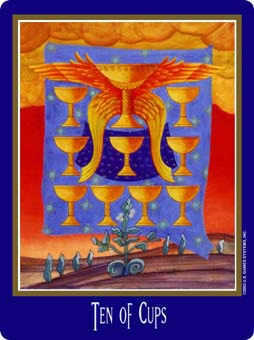 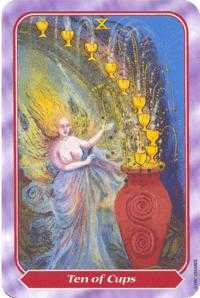 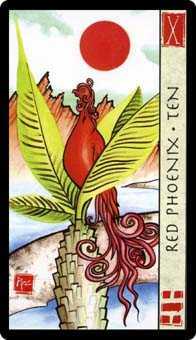 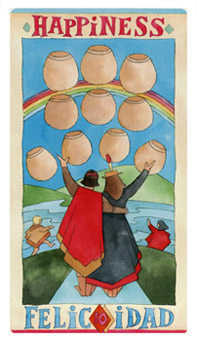 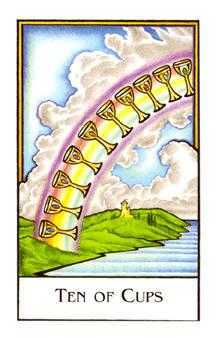 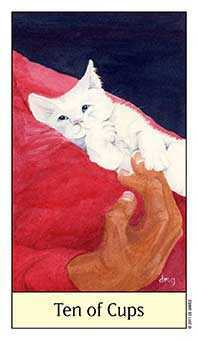 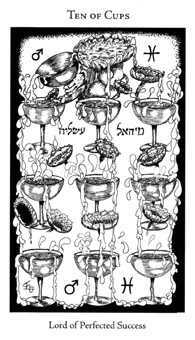 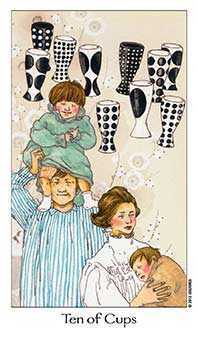 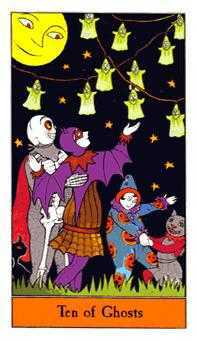 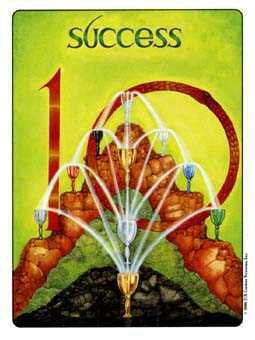 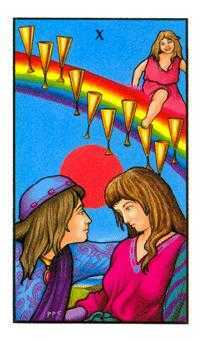 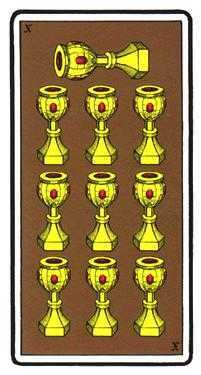 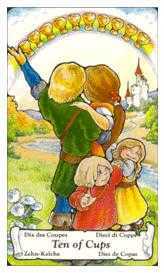 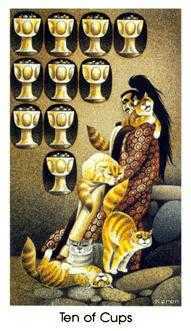 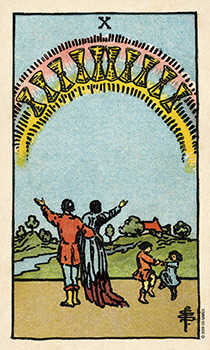 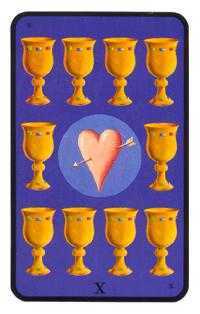 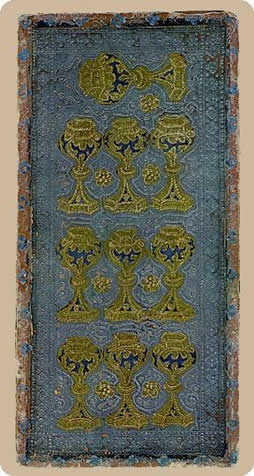 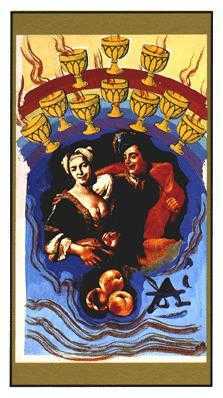 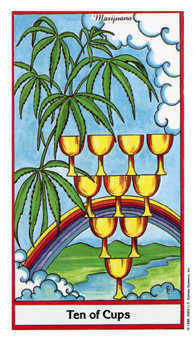 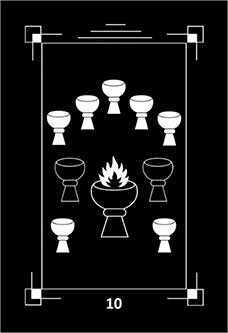 With the Ten of Cups in this position, prioritize teamwork over your personal goals. 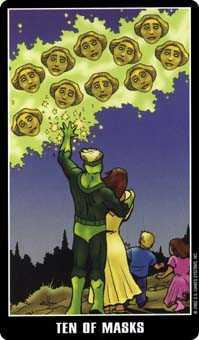 Everyone needs to feel they made a contribution. 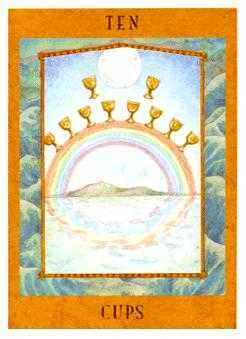 The crew needs to feel they are all in this together, and everyone needs to be rewarded when the ship comes in. 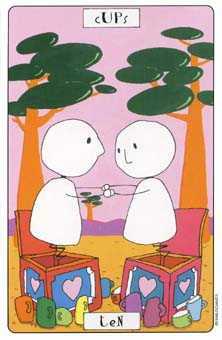 It's essential to follow a teamwork approach in order to maximize the benefits for yourself. 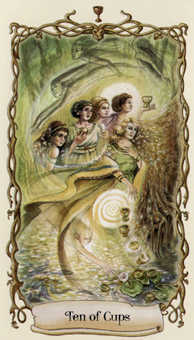 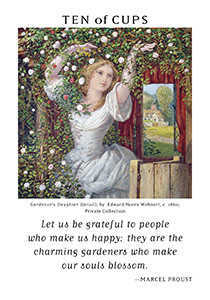 The good will that will emerge from such an approach will last long after the project is over. 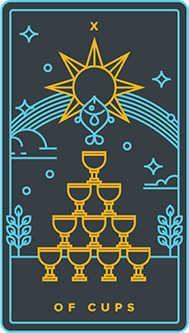 You will be generously rewarded later if you take a selfless approach at this time.